The First UMC of Paso Robles has been described as a unique church with an amazing heart. The people of our Methodist church are welcoming and hospitable while being a testimony of what it is to exercise a committed and unyielding faith. We have been around since the 1840s and have continued to become a leader in the community since. 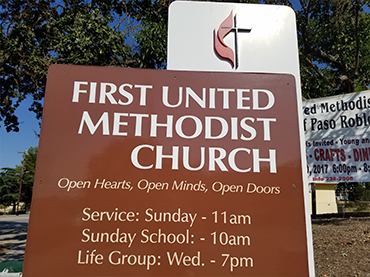 The First UMC of Paso Robles has survived the difficulties of the changing of times, as well as the earthquake that affected Paso Robles in 2003. The people in our church congregation had lost their most beloved building and found themselves without a physical building to call "home." Many other events have affected the church beside the loss of our building. However, as our congregation struggled with the question of "what now?" We started to experience a transformation, which led to the resurrection of our church. The people who survived these trying times decided they were not going to give up on their ministry. They began to realize that the building was an inhibition to do the work Christ has called them to do. So, they decided not to commit to a building. They migrated between different sites within the city; however, they were not concerned with the constant transition. They instead focused on doing ministry in the community. As a result, they changed their name to Methodist Ministries of Paso Robles to convey their new role within Paso Robles. 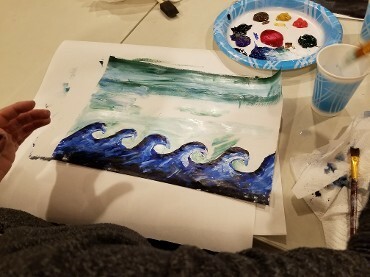 The story has been re-written; as this amazing faith community focused on serving, they experienced growth in faith, as well as in membership. The difficult times had not been able to destroy what God had called into life. 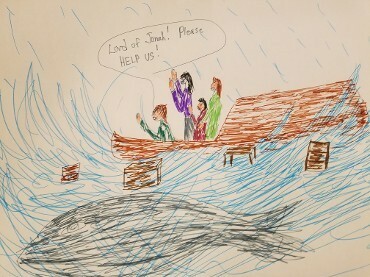 God used the earthquake and the many difficulties in creating a beautiful resurrection story. We invite you to visit us and be part of our community. It is important for us that you know we are a welcoming community that is willing to be your companion as you journey through life. Even when you face the difficulties that appear in your life's journey, we will be with you. As we have called to be our brother's and sister's keeper, please know you do not have to do it alone. God intended us to be ligated with each other to be supportive, to love one another, and be encouraging of one another. The purpose of the United Methodist Church is to make disciples for Jesus Christ, for the transformation and healing of the world. We follow the Holy Spirit's call to create a new type of ministry in Paso Robles, one that seeks to share our faith in Christ providing acceptance, compassion, and understanding to all. Not to be bound by tradition in the way we worship and show our gratitude to God. To accept and celebrate human diversity - being radically inclusive in welcoming people of every color, nationality, sexual orientation, and economic status. To believe in social justice, and support advocacy for the poor, oppressed and disenfranchised. To strongly support environmental stewardship of the Earth. To have a deep belief in the instructions of Jesus Christ to unconditionally love one another. To respect people's journey and personal experience with God. To live out these beliefs with spiritual vitality, while believing that our faith community flourishes by creating a unique worship experience by implementing diversity, and creativity. To be at peace with the fact that we may not get it 100 percent perfect, 100 percent of the time, however, in everything we do, we will aim to be open-minded, open-hearted, and to be a welcoming church for all.